« Flashback. 1961 G-12 Matchless. Published by Cyril Huze April 13th, 2016	in Chassis and Customs. 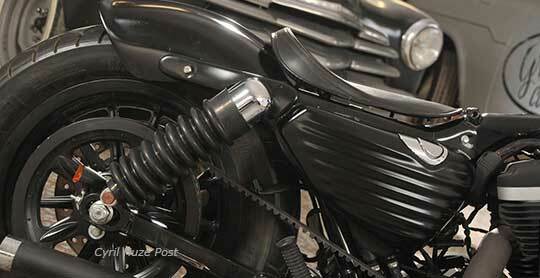 Add a touch of retro with a set of ribbed oil tank side covers. They fit on all Harley Sportster models from 2004 to 2013. Offered in many different finitions, from polish to chrome, from black to many other anodizing colors. MSRP 248 euros for the set. At Custom Chrome Europe or Greasy Coast Facebook. Finally, something that will put my Sporty on the level of the Scout or the Scrambler. CCI USA Needs those in their new catalog. They look nice enough to make bolt in one piece units. 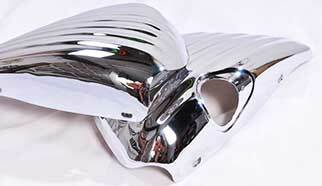 this time china did it first, tpchina develop this cover fit 2003-2016 sportster COVER FIRST.